Happy Friday Everyone. In staying ahead of the holidays, this week’s Freebie Friday is featuring Valentine’s Day. Not everyone is a fan of Valentine’s Day so of course I have to provide an option for Anti Valentine’s Day Planner Quotes also. In case you missed Valentines 2017 Planner Stickers you can revisit and download them from here. 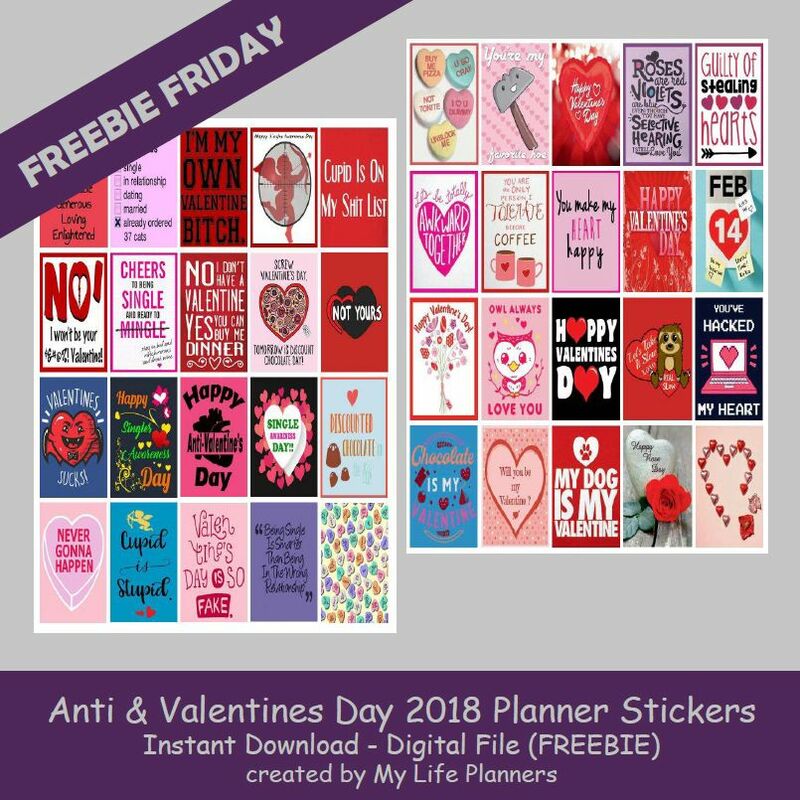 To download the Freebie Friday Anti Valentine Planner stickers. Please click here. To download the Freebie Friday Valentine Planner stickers. Please click here.